← Social Media Marketing: Are You Doing It Wrong? Where does social media fit into your content marketing plan? If you think that content and social media are one and the same, well, that’s not quite the case. It’s more appropriate to call social media the delivery vehicle for your content; content is what you’re seeking to spread, and social media is how you spread it. In other words, your business should be creating compelling content in the form of blogs and press releases, videos and infographics, and then using social channels to get that content out there and in front of readers. This isn’t quite as simple as it might sound. You can’t just write a blog, post it to Facebook, and call it a day; while this may well generate some modest results, it’s not taking full advantage of what social channels can do. As you seek to boost the content delivery results, the visibility and exposure you get from your social media channels, keep the following guidelines in mind. For more insights into any of these points, of course, feel free to reach out to the Grammar Chic, Inc. team at your convenience! 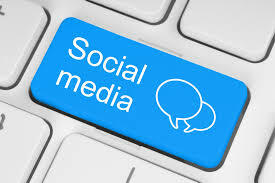 First, make note of the social component in the term social media; you need to be aware of who you’re talking to in order for social media to really work. Knowing your audience is crucial, and that goes beyond just knowing the age and income demographics of your users. Also know how they spend their time on social media, using social listening, checking your social media referral reports and analytics, and gleaning whatever other data you can from your social media endeavors. Make sure you’re offering value. When you’re distributing content over social channels, it really shouldn’t even feel like marketing, and it certainly shouldn’t feel like straight-up advertising. Ensure that your post titles convey immediate value, that content provides actionable tips and practical steps, and that the general tone is educational and informative. If you can do this, then your content is ready for social distribution; if not, then you need to rethink your entire approach. Use social media to expand the conversation, moving away from just talking about your brand all the time. Yes, you should stick close to your wheelhouse, but you should also be engaging; for example, while the Grammar Chic Facebook page offers plenty of content marketing and resume-writing tips, we also like to talk about books and the publishing industry because these things are important to us and we’ve found that they interest our readers, too. Go beyond the obvious social media channels. Most companies are on Facebook and Twitter these days—but are you also publishing to Google+? Have you thought about engaging Quora, or posting blog entries to Pinterest? Brainstorm ways in which you can take your social engagement a step further than where it is today. Finally: Make sure you’re measuring and tracking everything. You may have a variety of objectives with your social media—to increase visibility through likes or shares, to boost engagement on your own social media profiles, to drive traffic to your website, etc.—but if you’re not measuring the results of your posts, then you don’t really know how well your posts are doing, which kinds of posts work best, or which social channels are most advantageous to your brand. Bottom line: You’ve got to do more than think strategically about content creation. You’ve also got to think strategically about social distribution. To talk about having your content marketing professionally managed, contact Grammar Chic, Inc. today; visit www.grammarchic.net or call 803-831-7444 803-831-7444. For the success of business, content creation and marketing is very important. The first thing is to write excellent quality and compelling contents on the base of audiences and second thing is to choose the right resources for publishing it so that ultimate readers can read it. Social medias are the best resources for publishing contents because these are having big community of people which will definitely direct more people towards a business website or blog. Your describe it comprehensively and share some great tips which help us to publish contents effectively.